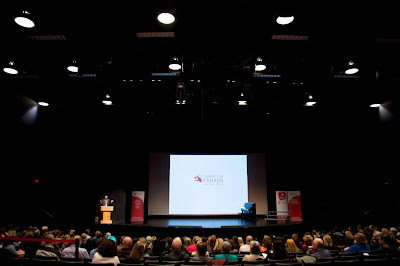 I've spent some time reflecting on Canada's first national conference on character which took place in Abbotsford, BC, Canada on October 23 - 24, 2015. There were nearly 300 delegates representing 3 provinces and over 10 different cities. Here are my Top 10 Reflections on the Character Canada Conference. From seed to flowering plant. What a journey over the past four-plus years to get to this point! So many leaders; not one, but many! It has taken an army of people to take this vision from a picture in the minds of a few to what we are seeing today. Many local, provincial, national and international connections have shared their passions, skills & influence directly to give this vision the traction is has now achieved. Amazing! Thank you. It's critical that we do something to intentionally build character wherever we carry influence. This will yield fantastic results over time! But what if we do nothing at all? Character truly unites us. Whether you voted red, blue, orange or green in the last Canadian election, we all want to live in respectful, responsible & caring communities; essentially safe places to dream and try! In the words of Dr. Avis Glaze, We have a moral imperative to do this work. What must take place for this work to be successful? Each one of us, once we've heard the vision, must grab hold and make it our own. We must lead with character within our spheres of influence to inspire those around around us to do the same. It's all about being intentional. The culture of our homes, work places, communities and ultimately our country won't be strong and filled with integrity by chance. It's not about being perfect. We all make mistakes. Perhaps our response to the mistakes we make is the biggest indicator of the depth of our character. We have truly meaningful 'character' connections across Canada. A luncheon took place following the conference with representatives from Toronto, Calgary, Abbotsford and Langley. A plan was created and put into action that will build on these connections for years to come. This is only the beginning. The Character Abbotsford Board of Directors have given their approval for a second conference to take place on October 21, 2016. Mark your calendars!